CNG is not dangerous when used in the right way. CNG vehicles have been found emission of nano carbon particles. Natural gas also emits lower levels of nitrogen and sulfur oxides. CNG, if leaked unburned, becomes a powerful greenhouse gas. Compressed natural gas, mostly referred to as CNG, is touted to be an environment friendly fuel alternative. But is it truly so? 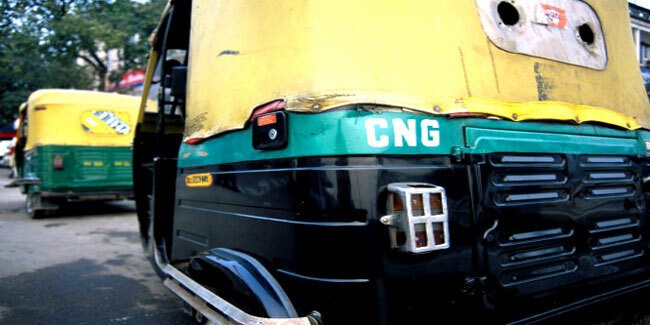 CNG is aggressively being promoted and has become the preferred fuel for operating vehicles in Indian metros. Sad to say, recent studies have raised the concern over particle size and distribution of the exhaust from an IC (internal combustion) engine of CNG-driven vehicles. According to a study conducted by Council of Scientific and Industrial Research (CSIR), vehicles running on CNG emit dangerous carcinogenic nano carbon particles. Researchers from the Alberta University in collaboration with the Indian Institute of Petroleum, Dehradun, developed a machine that measures particle size and distribution of the exhaust from an engine of CNG-driven vehicles. The device was put on the exhaust tail pipe of a natural gas-powered DTC bus in Delhi which rode around the city thereafter. They found nano carbon particles coming out of the exhaust of the CNG bus. How do nano carbon particles affect health? Nano carbon particles floating in the atmosphere can enter your lungs straight through your nose. Thereafter, these particles can penetrate into the membranes and into your blood. The particles are rich in polynuclear aromatics, which is carcinogenic. Carcinogenics or agents that cause cancer, are known to affect several organ systems and their development. These include the heart, blood vessels, digestive system, liver, immune system, nervous system, eyes, urinary system and lungs. Natural gas also emits lower levels of pollutants such as nitrogen and sulfur oxides, mercury and particulate matter. Also, natural gas is composed largely of methane, which if leaked unburned becomes a powerful greenhouse gas. CNG is not dangerous when it's sealed up tight inside pipes and used in the right way. However, it cannot be called environment friendly until it really keeps the environment clean and cuts health risks. Strict measures are needed to protect quality of air. Besides, there is also a risk of contamination of nearby aquifers if a gas well is poorly built.